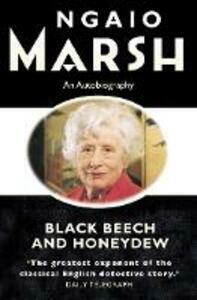 The new series of Ngaio Marsh editions concludes with a new edition of her autobiography. What sort of person was Ngaio Marsh, whose detective novels made her name known throughout the world? With all the insight and sense of style her readers have come to expect of her, her autobiography reveals the influences and environment that have shaped her personality. Widely acclaimed when first published in 1965, Black Beech and Honeydew is a sensitive account of Ngaio Marsh's childhood and adolescence in Christchurch and the establishment of her theatre and writing careers both there and in the UK. It captures all the joys, fears and hopes of a spirited young woman growing up and transmits an artist's gradual awareness of the special flavour of life in New Zealand and the individual character of its landscape. Fully revised and updated in 1981, this new edition is reissued 21 years later as a commemoration of Ngaio Marsh's life and work. It is a sanguine, poised, unpretentious, thoughtful and often moving record of a full life, and - despite its unavailability for nearly 20 years - has been acclaimed as her most distinguished work. No one who had read and enjoyed any of Ngaio Marsh's 32 novels can afford to overlook this gifted and charming autobiography.